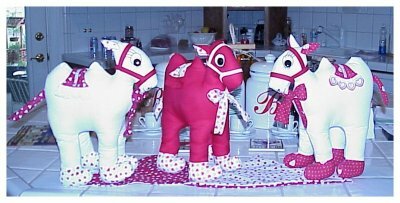 Expositon Doll & Toy Mfg. 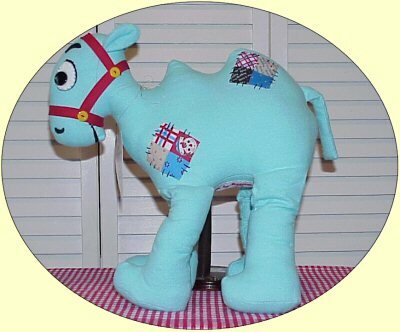 Straight from the Fairyland created by Johnny Gruelle in his delightful Raggedy Ann stories....comes "THE CAMEL WITH THE WRINKLED KNEES" an enchanting little character doll that tugs at your heart strings! 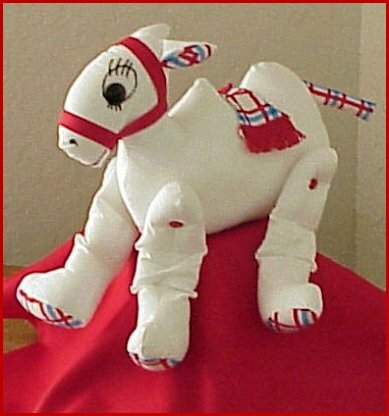 !.....Another of the many Raggedy Character Dolls that I create!....WHY NOT COLLECT THEM ALL??? 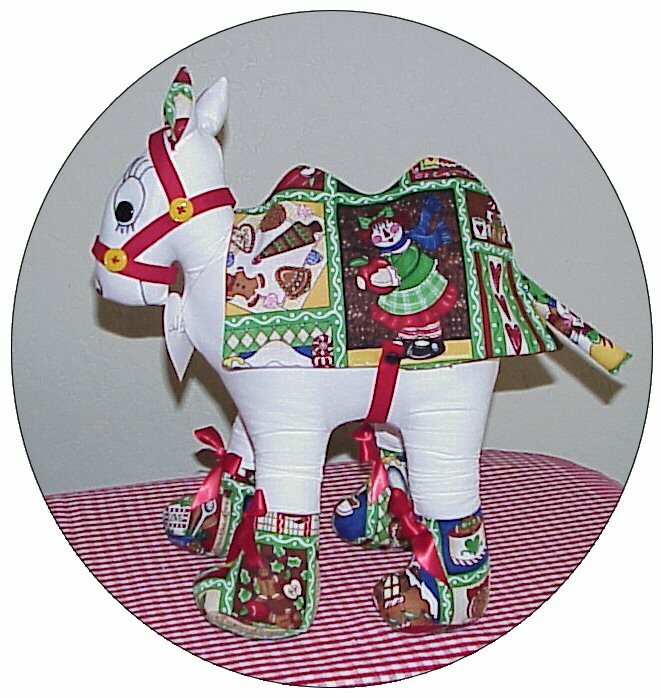 Gruelle first introduced his Camel with the Wrinkled Knees character in the book "Raggedy Ann and Andy and the Camel With the Wrinkled Knees"
Another of Gruelle's delightful characters.....Pirate Chieftan was also introduced in this Storybook....Be sure to check out his page too!!!! 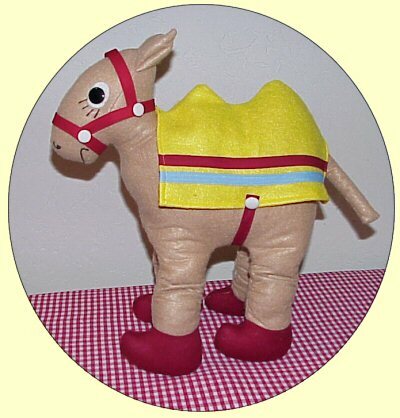 with red fabric feet, a red bridle, yellow blanket trimmed with red and turquoise strips. 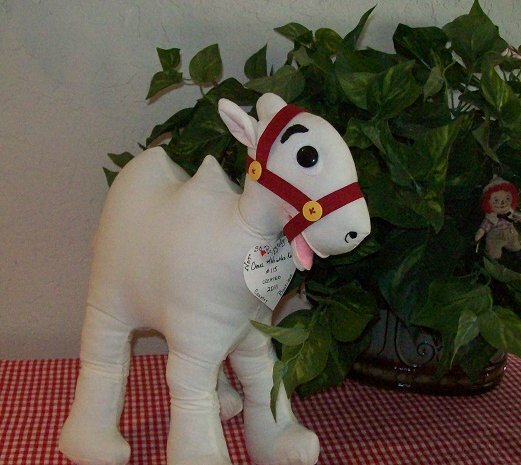 His "googly" eyes were celluloid(other features were printed on). 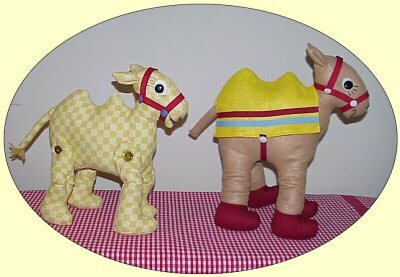 His release coincided with the 1941 Raggedy Ann and Raggedy Andy cartoon and the McLoughlin Bros. release of "The Camel with the Wrinkled Knees"
featuring a tan camel on it's cover. and the Tired Old Horse. 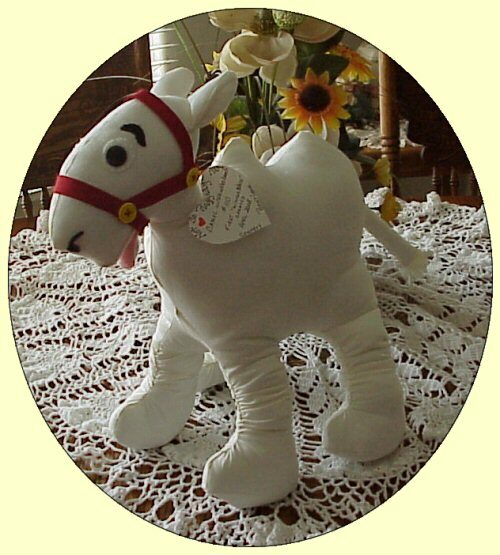 When he was blindfolded and walked backwards he was able to magically find his way to Loonie Land. Where he helped rescue a stolen doll! a animated musical cartoon produced in 1977. I am currently working on a project to recreate the characters in the movie. Click on the link above to learn more about the movie. (meaning he was VERY VERY sad). 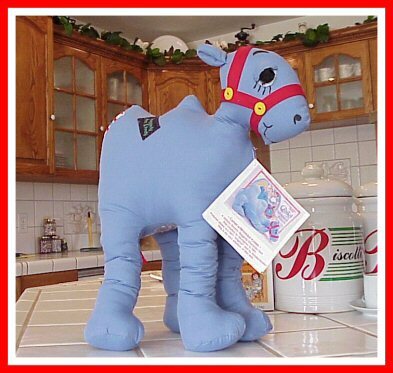 In 1977 following the release of the movie....Knickerbocker came out with it's "Blue" Camel w/Wrinkled Knees. 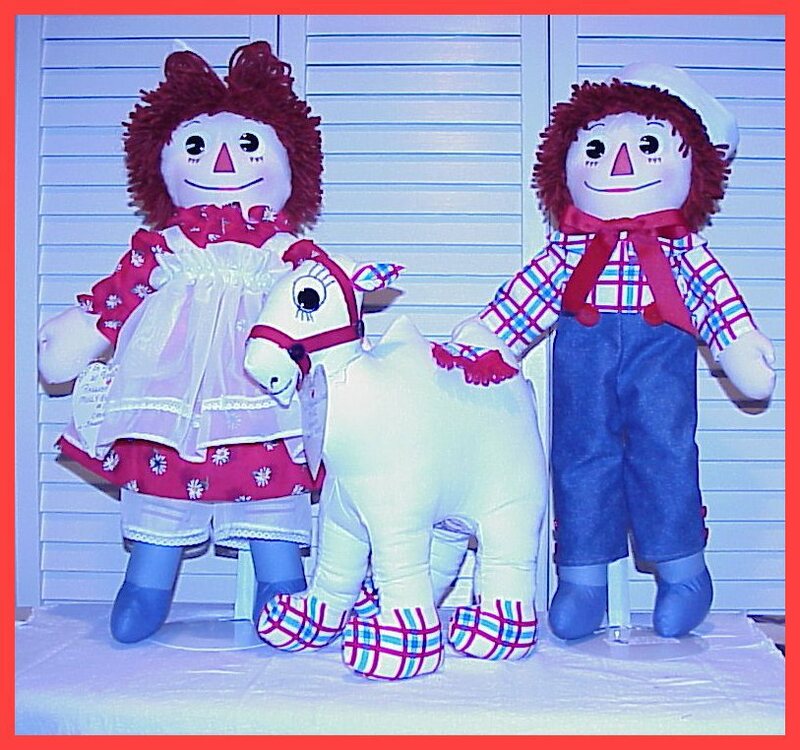 Raggedy Ann & Andy riding the checkered Camel ! 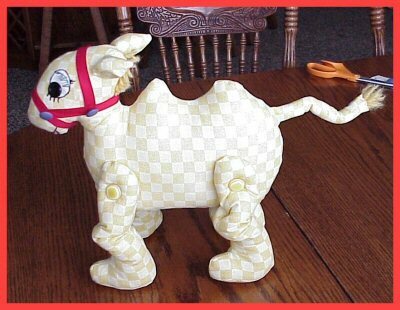 "The Camel with Wrinkled Knees"